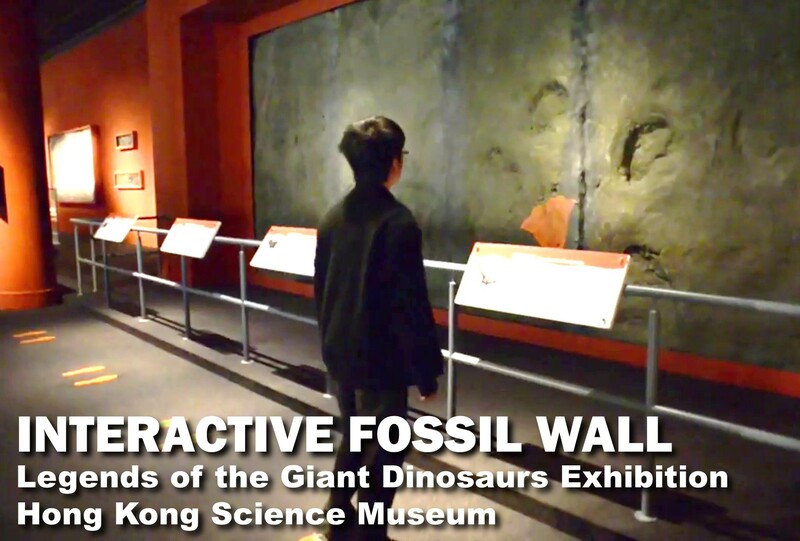 A mixture of pressure sensing and 3D projection technology for an interactive fossil wall shows different footprints of different dinosaurs. Multiple pressure sensors are put on the orange colour footprint label. 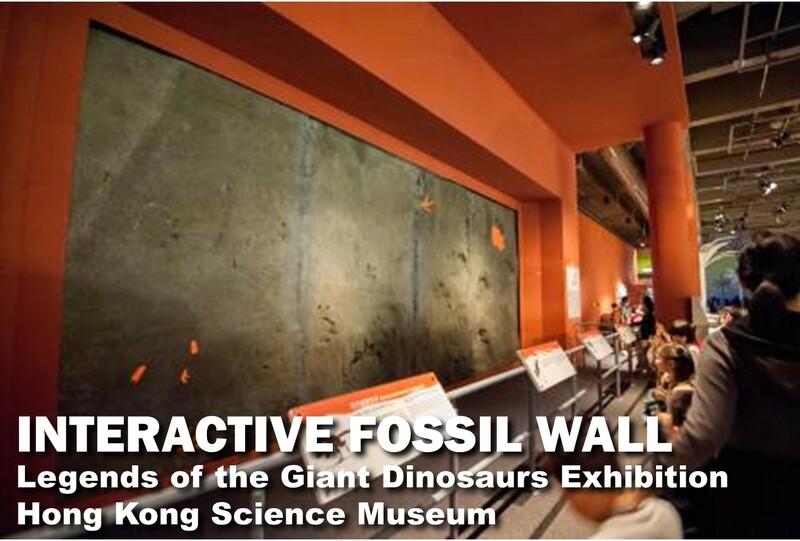 When visitors stepped on the footprints, the orange colour projection will be shown on the real fossil wall. When visitors stepped by other leg, another footprint will be shown in orange colour projection to show the distance of the step. “Track The Dinosaurs” is an interesting interactive exhibit and visitors can interact with it. It consists of a simulated fossil wall with different dinosaurs’ footprints on it. Pressure mats had been used. When visitors step on it which is placed in front of fossil wall, real time animation will be displayed on the fossil wall and the corresponding sound will be played. Experienced like walking as a Dinosaur. Since visitors can learn more about the dinosaur, like walking style or speed through stepping on the custom-made mat, “Track the Dinosaurs” is very creative and innovative. 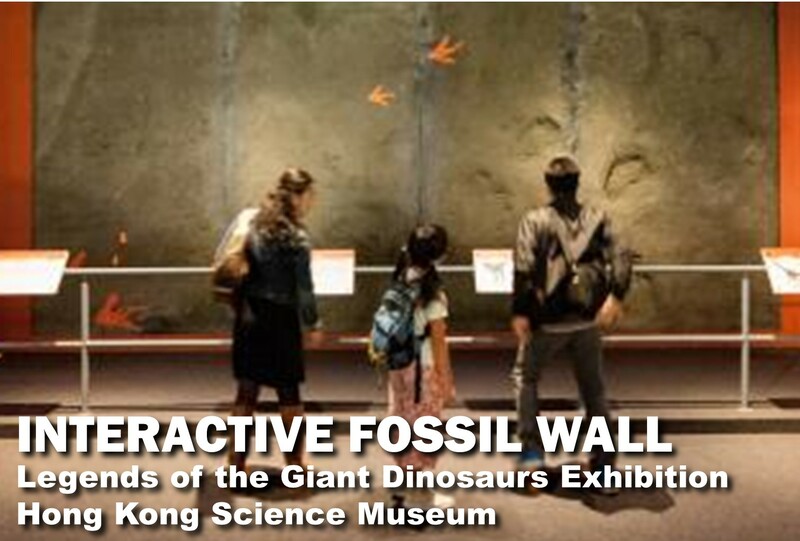 The Hong Kong Science Museum had organized a number of dinosaur exhibitions and all were well received. The “Legends of the Giant Dinosaurs” Exhibition will be the largest ever presented in Hong Kong. This exhibition is solely sponsored by the Hong Kong Jockey Club Charities Trust. In this exhibition, new technologies and presentation methods will be used to introduce the largest Titanosaurus and the latest studies on dinosaurs. Occupying an area of 2,500 sq. metres, the exhibition is divided into four areas with different themes. It is opened from 8 November, 2013 to 9 April, 2014.